A glasses accessory for that minimalist who could use something practical, useful, and pretty without standing out. 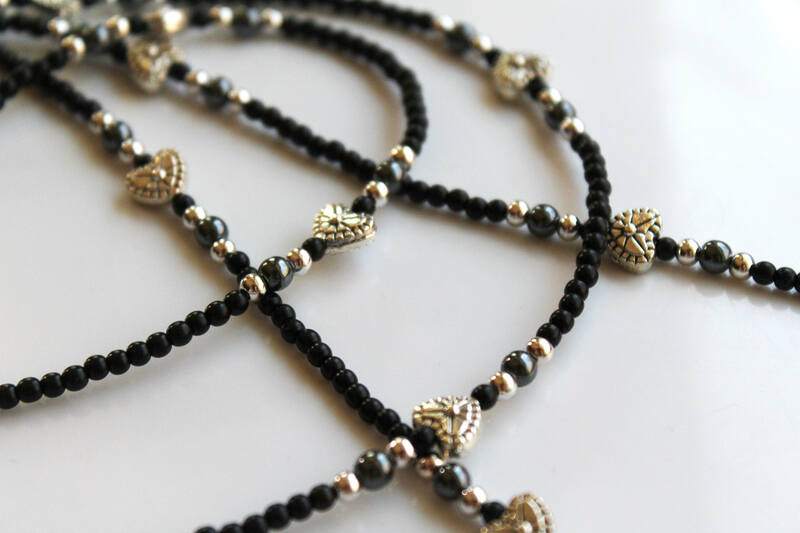 This black and silver eyeglass chain offers just that! 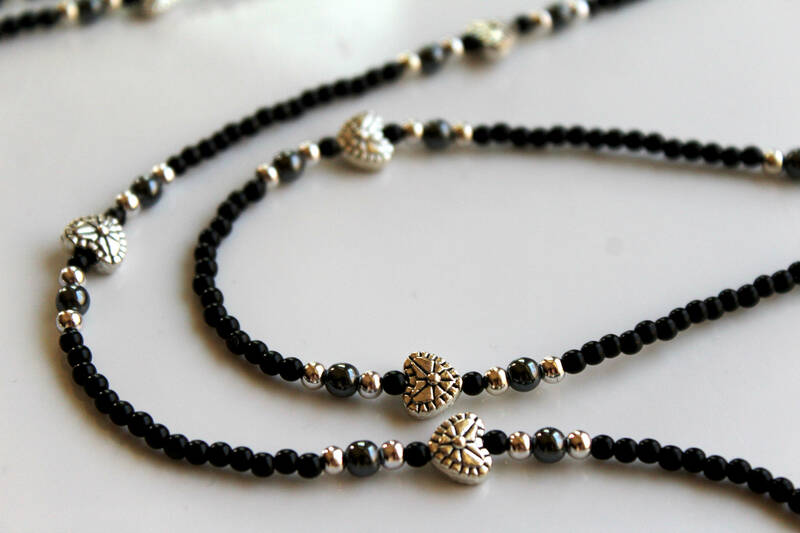 With small (8x7mm) hearts, and tiny (5-7mm) acrylic black beads, it is discreet, elegant, and 100% purposeful. Always have your eyeglasses at your fingertips with this accessory that will match every outfit you have, every color, and every style! This entire eyeglass chain measures approximately 29 inches long. 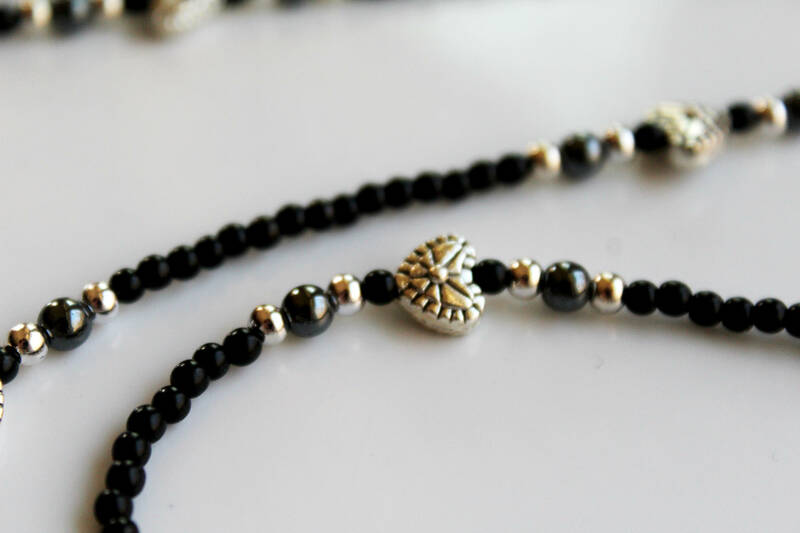 This eyeglass chain is an original design by Michele of MichelesAManoDesigns. Repeat shopper! LOVE your glass chains. They ship quickly and are packaged safely. Thanks so much! I LOVE my new eyeglass chain!! Love it so much, I just ordered another just like it for the future! So pretty and length is perfect. Received quickly and packaged nicely. Thank you so much! !